/co/ - Comics & Cartoons » Searching for posts with the image hash ‘Hkc+sbHPTmBkqMYHX0HWCQ==’. Searching for posts with the image hash ‘Hkc+sbHPTmBkqMYHX0HWCQ==’. 1 results found. 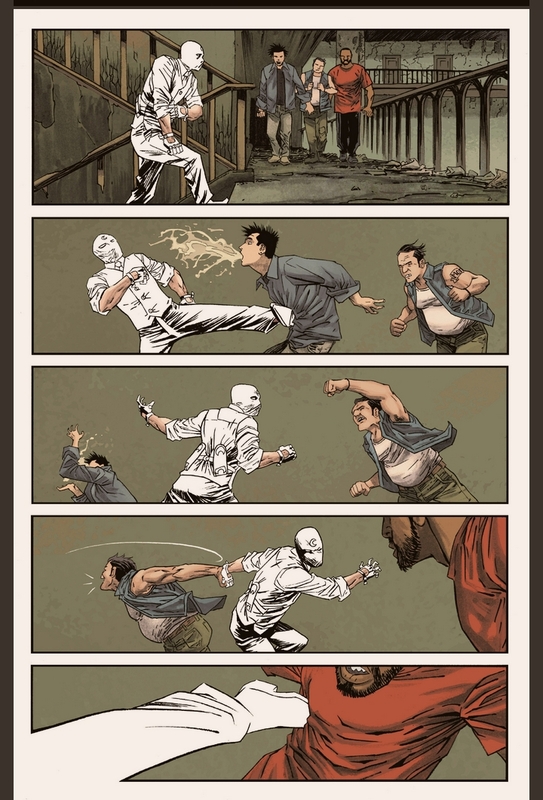 You should read Ellis' Moon Knight issue 5. Pic related, the entire issue is basically action and it blends a western style (impact poses, post-hit closeups) with a mildly manga style, incliding some motion lines and clear moving forms. You can tell exactly what's happening and impacts are pretty satisfying. It's not quite the manga action I'd also prefer in comics, but it's a good step in the right direction I'd say.